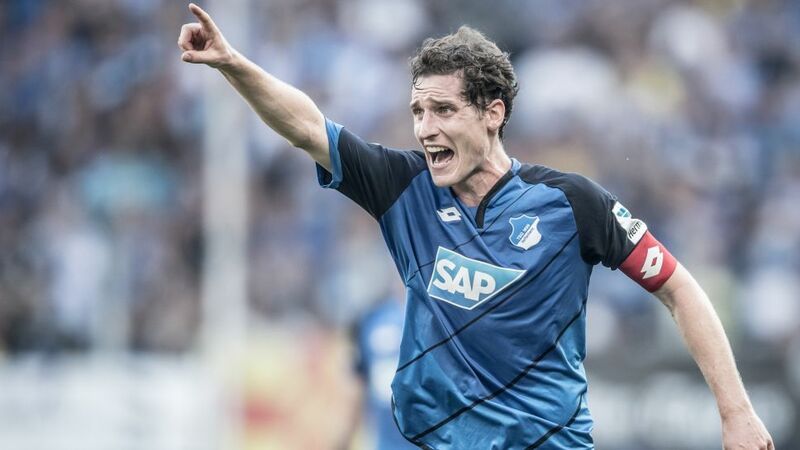 Sebastian Rudy hopes to make his last hurrah as Hoffenheim captain one to remember, before officially joining Bayern Munich to pick up the baton from the soon-to-be-retired Philipp Lahm in the summer. Rudy is one of the highest-scoring midfielders in Official Fantasy Bundesliga this season - sign him up now! The 26-year-old defensive specialist is widely regarded as the outgoing Bayern skipper's natural heir for club and country and, as the driving force behind Hoffenheim's top-four push so far this season, it is hard to disagree. bundesliga.com caught up with the Bayern-bound Hoffenheim captain for an exclusive chinwag on matters past, present and future. I think it's a good thing that the move was sorted out early, because there is not much talk about it now, and I can concentrate on the essentials. For me personally, it’s good because the change is not happening overnight. My complete focus is now on the remaining games with Hoffenheim, which I would like to finish as well as possible. I only found out that Niklas [Süle] is also moving to Munich just before I signed the contract. I wouldn't move to the club if I didn't think I'd be able to establish myself there. I think there's much more in me, I want to push my limits. The fact that I wasn't included in the squad for the European Championship spurred me on. It was a turning point and I said to myself: 'I really want to get back into the squad'. I was sad during the first couple of weeks of the EURO, but it passed. I went on holiday and had fresh motivation going into the new season. He knows how to use me, I feel that confidence and I want to repay him. He's a coach who's shaped me. Julian’s ideas, his preparation for the games worked right from the start. The team got behind him immediately. Age was never a problem, because you could tell he has something. I’m not someone who shouts a lot on the pitch but I’m reliable and always try to be available for a pass. I coach my teammates as best I can for the good of the team, even if not everybody picks up on that. I'm always trying to improve in every area, whether on the pitch or in the gym. I've made progress in terms of going into challenges. I don't want to be bigger, but I'm trying to be much more stable so that I can go into tackles and win them without any physical contact. I think I can show my qualities best in defensive midfield. If the coach wants to play me at right-back I'll give it my all, but my favourite position is in holding midfield. Bernd Schneider was my role model. I liked his style, his technique, it was just nice to watch. In our training sessions, you can see that everyone wants to keep going, nobody wants to rest. That's the attitude you need to make an impression at the top. If we don't let up, we can achieve a lot. I want us to earn more points in the second half of the season than we did in the first. We have the right types of players in the team and we have a plan. On top of that you just have to be courageous. That's what we try in every game. Switching to an approach with greater possession has a lot to do with our dominance. But it's also down to everyone playing their part, including the coach. I've gone through good and bad phases, so I've also matured here. Being involved in relegation battles shapes you.